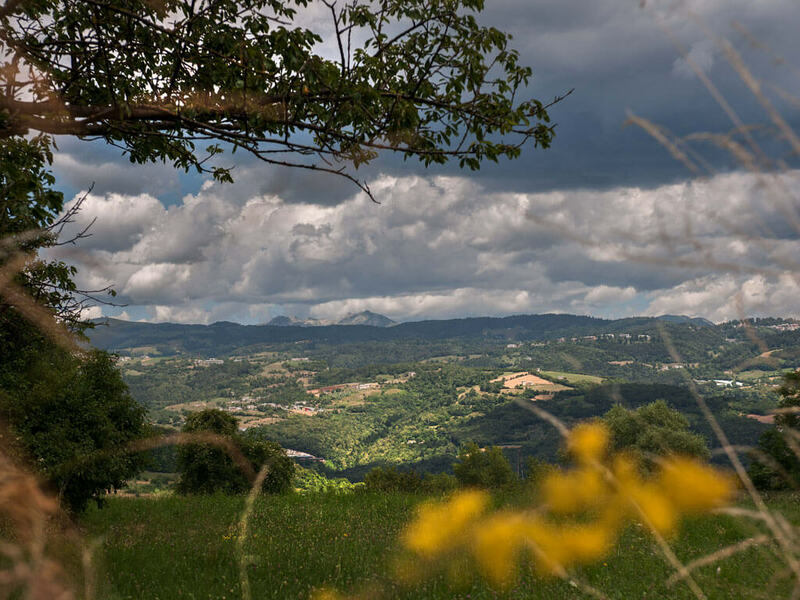 Corrado Benedetti products are made with attention to sustainability and social responsibility, because we believe that the task of a business is also to care about the wellbeing of the land and the people who live there. We have developed production systems which allow us to save energy and protect the environment. All the installations in our new meat factory are low-consumption, and we use enthalpy technology in our drying chambers. The architecture of the building is also designed for sustainability, and the arrangement of departments takes geographical position into account so as to use the natural air currents down the valley for drying. This ensures that our processes remain natural and traditional. What’s more, Benedetti is in the process of adapting its energy supply so that it comes only from renewable sources. Benedetti is also socially committed: almost all our business needs are provided by organisations that encourage employment of disabled workers.